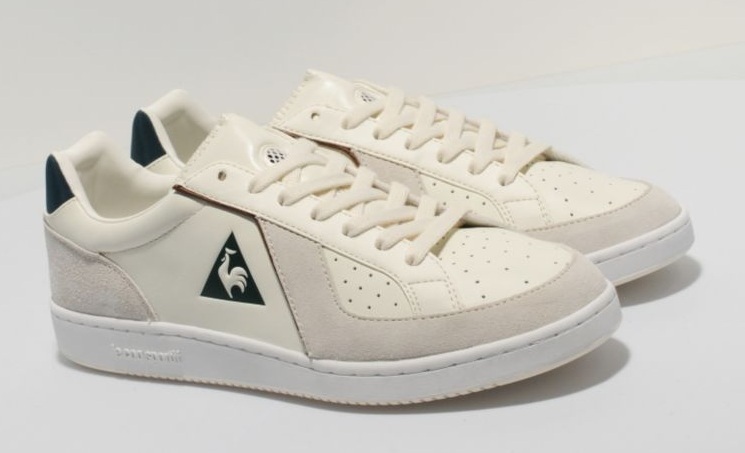 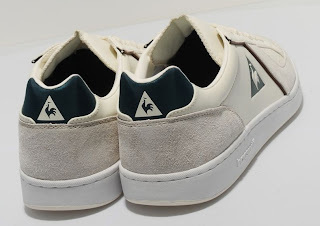 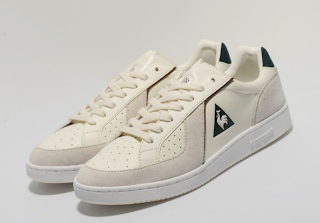 From Le Coq Sportif comes an archive shoe in collaboration with tennis player Yannick Noah. This update sees the shoe move more toward the style of basketball, using the original basketball silhouette. Presented in an ecru leather upper with suede heel and toe bumper, this shoe features perforated toe panel and mesh ventilation to the tongue for extra breathability, tonal laces and tan brown band detailing to the side walls. 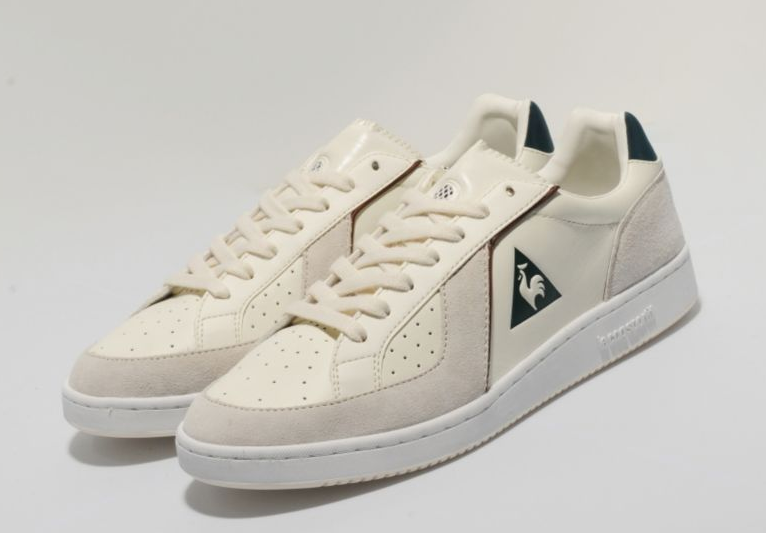 The shoe is finished with pine green brand detailing to the side and a pine green heel panel and is sat upon a white brand embossed midsole.